Clean your teeth better than with a manual brush and make brushing fun! 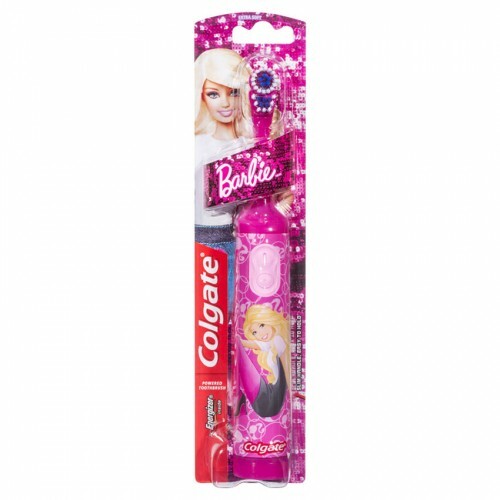 Colgate’s battery-powered toothbrush is suitable for children age 5 and older. Its small oscillating head with extra soft bristles helps clean teeth and sweep away plaque. Product Description My First Colgate Toothpaste is formulated to meet the special toothpaste ne..
Clean your teeth better than with a manual brush and make brushing fun!Product DescriptionColgate’s.. When Eddie's tooth falls out at school, he can't wait to tell his mum and dad and to put it under hi..